In honor of Frederick Law Olmsted's Birthday and World Landscape Architecture Month, we'll be having a FLASH SALE for the 2019 ASLA SE Regional Conference attendee registration! Full attendee registration will be discounted $100 off! 6. Confirm details and submit payment. NCASLA has been tracking SB-367 (https://webservices.ncleg.net/ViewBillDocument/2019/3071/0/S367-PCS45275-RN-8) since it was introduced. The NCASLA Executive Committee sent letters of opposition to the subcommittee and outlined concerns. NCASLA is opposed to the bill because it could go against one of ASLA’s code of environmental ethics. Those ethics can be found on the ASLA website ( https://www.asla.org/contentdetail.aspx?id=4308). NCASLA believes that trees are important to the health and welfare of our environment and that we must be good stewards of that environment. Great news was received today, April 23, 2019, as: Sen. McInnis announced publicly that he will no longer pursue or push his tree removal ordinance bill! See below for the full statement. This is a great example of the power of advocacy, from LAs and from all of the other groups that opposed. We will continue to keep an eye on this and other bills. Please be on the lookout for any legislative alerts that will ask you to write to your representative expressing your concern over this bill. Sen. Tom McInnis, R-Richmond, has withdrawn controversial legislation that would have prohibited towns and counties from regulating tree removal on private property without the General Assembly's permission. "This bill has been robustly debated and discussed," McInnis said in a statement late Thursday afternoon. "The intention of the legislation was to highlight the need to balance private property rights with the needs of the community." The proposed legislation generated strong opposition from municipal and county government officials. The N.C. League of Municipalities and N.C. Association of County Commissioners argued that it would restrict the ability to protect neighboring property owners from development that could harm property values and take away more local control over development. The NCASLA Golf Tournament and Social is this Friday, April 26 at 1pm. This is the last call for players- registrations must be received by 5pm, Wednesday, April 24. Enjoy the afternoon with colleagues! Wake County Public Schools (WCPSS) to host their 4th Annual WCPSS Design Blitz. 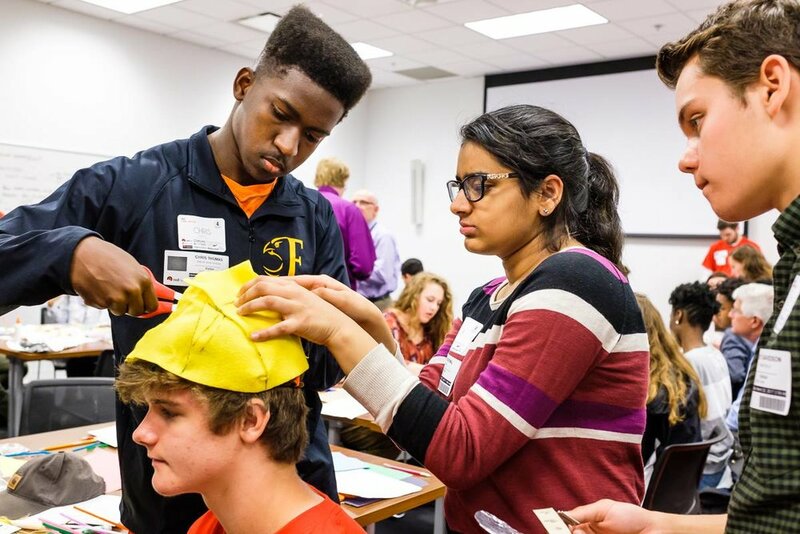 Numerous Career & Technical Education (CTE) high school students, from across Wake County, will join design practitioners at CAM Raleigh in downtown Raleigh, for a charrette promoting collaboration and the design thinking process. NCASLA is leveraging this year’s event to help raise awareness of the profession. We are excited for the opportunity to join forces with the City of Raleigh’s Dorothea Dix Park planning team, in developing this year’s prompt around the 308-acre Park. In addition to being a tangible introduction to site design, the Dix Park theme showcases community engagement, a transformative urban renewal project in the Raleigh cityscape and the impact our profession can have on quality of life, in shaping places where people live, work and play. The results of the charrette will be judged with prizes and will remain on display at CAM, as part of a pop-up exhibit, through April 16th. LIGHT BREAKFAST & LUNCH: To be provided REGISTRATION: Required. Space is limited! Register HERE by 03/28. Charrette leaders are expected to be present for the introductions and throughout the 2.5 hour charrette. We invite you to stay through lunch/judging and subsequent announcement of winners. Project judges: We need several landscape architects to participate as judges alongside other design professionals. Judges will be floating during the charrettes and observing each teams’ process. 1st, 2nd and 3rd place will be awarded. Interested? Contact Leslie Bartlebaugh. Do it for our future!